The main reason why we save money is that we cannot predict the future. Saving money can really help us in case of a financial crisis. It is not simple to bear your expenses if you have some little money in your bank account to cater for your expenses when the pockets are dry. Here we take a look at top 30 money saving apps for shopping. 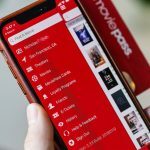 Why Money Saving Apps Are Popular? Money saving apps are very popular for an obvious reason that they can really help you save money. Loading your smartphone with these money-saving apps can help you make more money and live your life in a better way. There are hundreds of money saving apps out there compatible with Android, iOS and other operating systems. Their sole purpose is to help you save money while shopping. In this article, I am going to talk about top 30 best money saving apps that you must have on your smartphone. This app gives you a perfect channel to save your money for grocery and home care items. It helps you save on what you want and makes you take home that brand you want. You can download this app directly from App Store and immediately follow the steps to create an account and log in. You select the offers and when you reach the target, you press the cash out icon to get a receipt emailed to you. 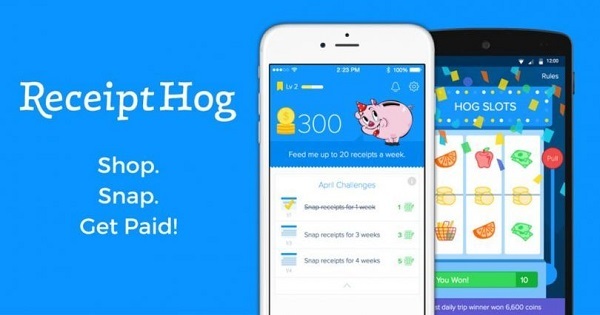 This is another app that offers an easy mechanism for saving money. 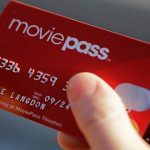 Unlike other apps, it gives you cash rebates instead of points. You get all the money saved every time you go out to do your shopping. Visit their website to get offers and find promos. You can download the app from the site or App Store. It is third in our list but it is an ideal app to save both money and time. This app is different from others in many ways. It doesn’t require you to use your Facebook account for Login. One of the coolest features of this app is that it allows you to redeem coupons from your phone via QR code. This app can be downloaded from several sites but the best of all is Google Appstore or the company’s site. 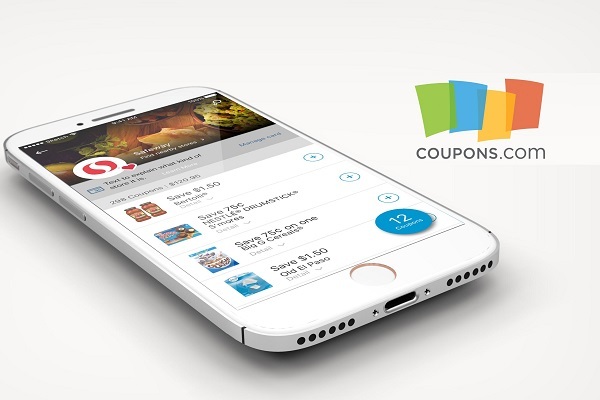 It is one of the best apps to manage your coupons. Moreover, it sends you notifications if your coupons are going to expire soon. It also has an option that allows you to easily share coupons with your friends. To download SnipSnap for Android, visit Google Play Store and search for the specific app. Hit install and create an account. This is the app for all money oriented individuals. It helps keep you organized and updated. It gives you cashback points every time you shop through this app. 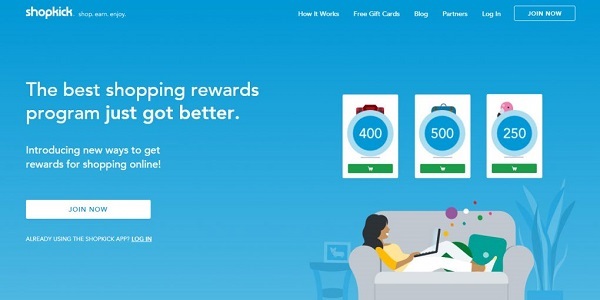 You also get $5 sign up bonus as well as $10 gift card once you spend $25 on shopping via this app. 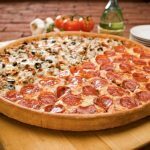 Getting hot deals is part of life and there is no better place to get them than in Coupons.com. This app features coupons for grocery stores mostly. The experience here is extremely free with no in-app purchases. It is one of the most popular coupons apps in the world. To start using it on your android smartphone, visit the Google Play Store and download it. After installation, sign in and start using the services. It is one of the most well organized and easy to use coupons apps. You can even filter out coupons for a specific store. There is also a printable coupon section in this app. The other good feature is that you can make shopping lists and track your savings. Visit their website for more information. I bet you have never known this but Favado can save you up to 70 percent on Grocery. It is a good app that will notify you of the best deals in the market. Favado has a long-lasting partnership with top money saving experts who provide money saving tips and notifications. Hit Google Play Store and follow the steps to install this money saving app on your phone. This is an American based company that came up with a money saving app to help people save a significant amount of their money while doing shopping. It is an app that you use when you are shopping in online stores and malls. You earn money rewards, collect points and several other advantages. Everybody loves saving money and hence you should get this free money saving app for both iPhone and Android smartphones and start saving. The app allows you to search for best offers in your locality. The downside of this app is that the number of coupons it shows is less as compared to other apps. To download this app on your smartphone, visit Play Store and follow the steps. This app can offer substantial savings if used the right way. Although it is not really a couponing app, it is worthy of an honorable mention. The only thing that people are uncomfortable with is the number of emails they get in a day for deals and offers. Visit Google Play Store to download and install the app. This is a free coupon and shopping app which is compatible with iPhone and several Android devices. It supports a large number of stores in the USA. It allows you to filter deals based on your locality. Visit the website and create an account. This app compares the amount of money you paid at Walmart in-store with its competitors. 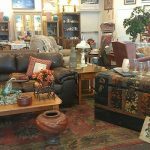 If it finds that other stores are offering the same product at a lower price, then the difference between the prices will be reimbursed to your account. When other apps give you offer details before shopping, this app gives you offers after your shopping. You just have to scan the bill in this app and it does the rest for you. Visit their website for more information. This app creates a list of groceries for you by utilizing its products database. There are a lot of deals that you can find on groceries using this app. The best part is that you can add items to your list while shopping. It will also suggest you products based on your purchasing habits. You can download the app from Play Store. Cardstar is an app that was designed to consolidate your membership cards in one place. The app saves you from the hassle of searching for your membership card each time you make a payment in a store. Adding your membership card in this app is fairly easy. You can enter the membership number or just scan the card to save details automatically. 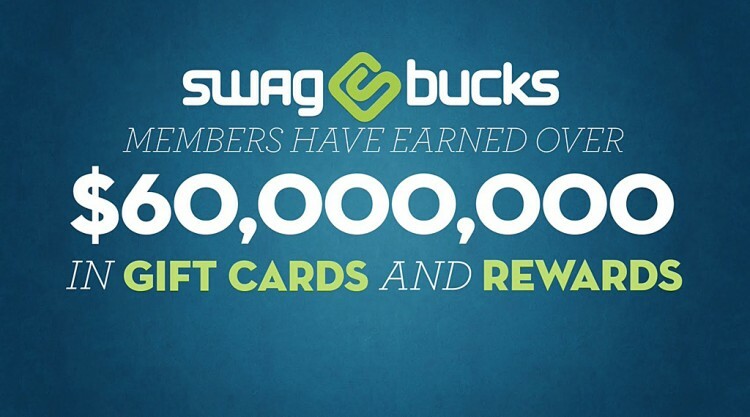 Swagbucks allows you to earn money for free just by taking short and interesting surveys. It is the best app to extend your earning opportunities wherever you are. You can download this app from Google Playstore or just visit the website to sign in. Stop your search and get a coupon app that can make the difference. This app will instantly check and apply every promo code whenever you shop. Visit the official website to sign in or visit Chrome Web Store to download. You can get coupon codes, better offers and loyalty rewards. Just download the app and agree to the terms of service before installing it. 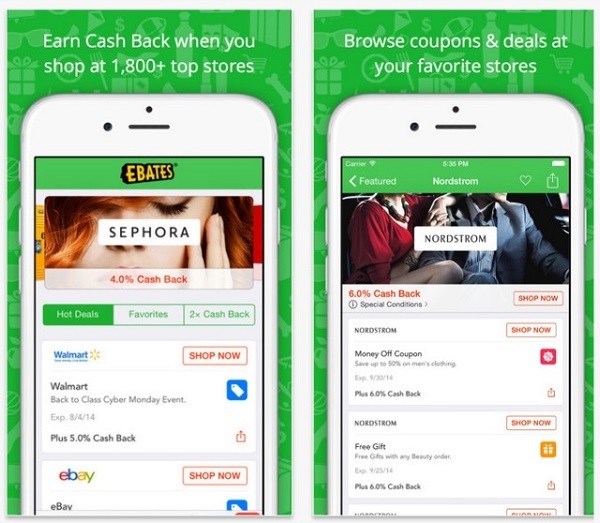 This is another cash back app that will help you save money and time doing your shopping. Visit the site to sign in or download the app from Web Chrome Store, or Google Play Store. Saving money here is easy. 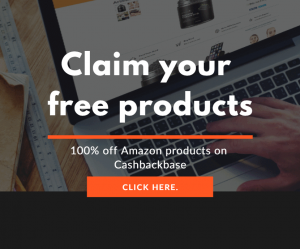 This app is here to help us save money by listing the cashback rate from almost all online shopping stores. Enter a store you want to shop at and cashback monitor will highlight which rates are high or perfect. This app offers cashback rebates and you have a channel to withdraw them directly to your PayPal or bank account. There are several ways through which Shopmium will help you save money. Visit Google Play Store, Android Market Browsers and the site to download the app. 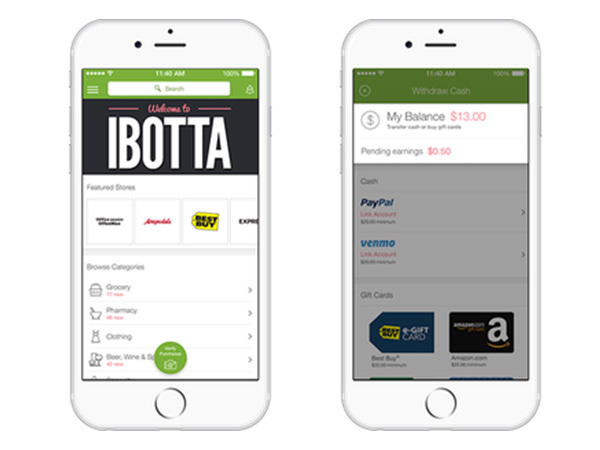 This app offers a great way of turning your daily receipts from everyday shopping into cash. It doesn’t matter where you shop or even what you buy. Visit Google Playstore to download the app and start using it to save a significant amount of money. This app is a quick and a new way of price comparison and unit conversion. The app is available for iPhone and iPod touch and also to several Android devices. 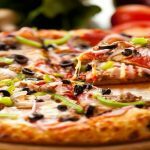 It compares ingredients given in different units and helps you save on your diet purchases. Today is a great day for you if you are in a move to save on your shopping. Download the Target App with Cartwheel on Android and iOS. It has a perfect way of helping you save money on several units of properties and services you purchase. This app is grocery shoppers Dream. Flipp is the essential app for your daily shopping. You are provided an opportunity to search circular deals and coupons by brand, item or category. To start using Flip, first of all visit Google Play Store to download it and sign in. Key Ring works in the background helping you to save a lot of money in your shopping. It even lets you save when travelling. It also helps you store your reward card numbers on your phone. Download the app on Google Play Store and start saving today. 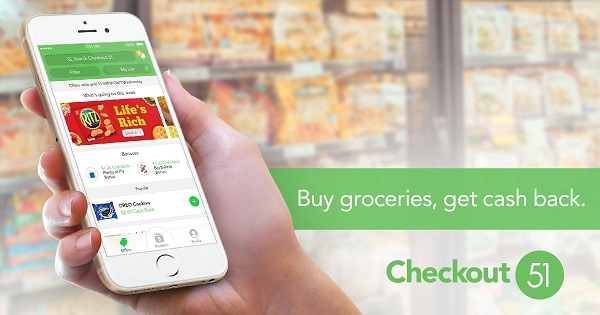 This app will save you a lot of money on grocery shopping. It has the ability to sync up with weekly circulars and categories to help you check the sales at your local store. Groupon helps customers save by offering great discounts on their specific retailers. Download the app today and create an account by simply keying in your mobile number and agreeing to the terms of service. Get it from Google Play Store. 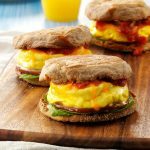 This company provides unbiased products ratings and reviews. Make the best buying and shopping decisions using the information on this app. Shoppers want convenience and money saving deals and that is exactly what Consumer Reports Mobile Shopper Offers. This app was designed to make shopping and savings stress-free. This app is not only about saving money but also giving you updated reviews and product rankings. To start using it, you need to download the FastMall app from App Store or Google Play Store and follow the given steps to install and sign in. So, these were the top 30 money saving apps for you. Being a smart shopper, you must install at least one of these apps on your Smartphone. Each of these apps has its own advantages. So the best option is to install multiple apps and use them interchangeably to maximize your savings.